Girrrl Stop! : Girrrl Get Yo' Faith Up! There’s always more than meets the eye especially in the life of a believer. God has made promises to us through His Word and as my Pastor preached and reiterated “The Lord is not slack concerning His promise…. but is long-suffering toward us…” (2 Peter 3:9). So as women of God, you can’t live your life based on what you see. The Bible says that “For all the promises of God in Him are Yes, and in Him Amen, to the glory of God through us.” (2 Corinthians 1:20), this just simply means that God’s promises are guaranteed!! This is why God instructs us to ‘walk by faith and not by sight’ (2 Corinthians 5:7) because we can’t go by what we see but rather we have to operate on faith in our God who can do exceedingly above all we can ask or think (Ephesians 3:20-21)! The reality is that at this moment in time, it may not look like things are lining up with what God has told you but you have to trust and believe that what God said is true. So are you steering your life by what you see or by what you believe? You say you believe that God will give you the desires of your heart yet you don’t delight in Him (Psalm 37:4). You delight in Ronnie, Bobby, Ricky and Mike (lol)! You think God is taking too long so you should ‘help’ God out right? You say you believe that with God all things are possible yet you doubt your God given abilities. You’re stagnant when God is telling you to get crackin’ with that business, book (yup, I’m stepping on my own toes too), ministry or whatever God has placed in your spirit! Lack of money should not be a deterrent - move forward with the vision and the Lord will send the resources. Begin to steer your life by what you believe and not by what you see. If you need to strengthen your belief then you need to get to the gym - the house of God! 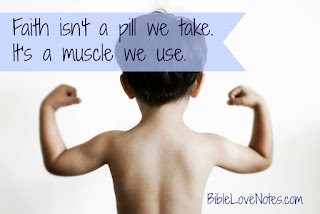 Workout daily by reading God’s Word and prayer. Attend those fitness classes in the form of Bible study and Sunday School. 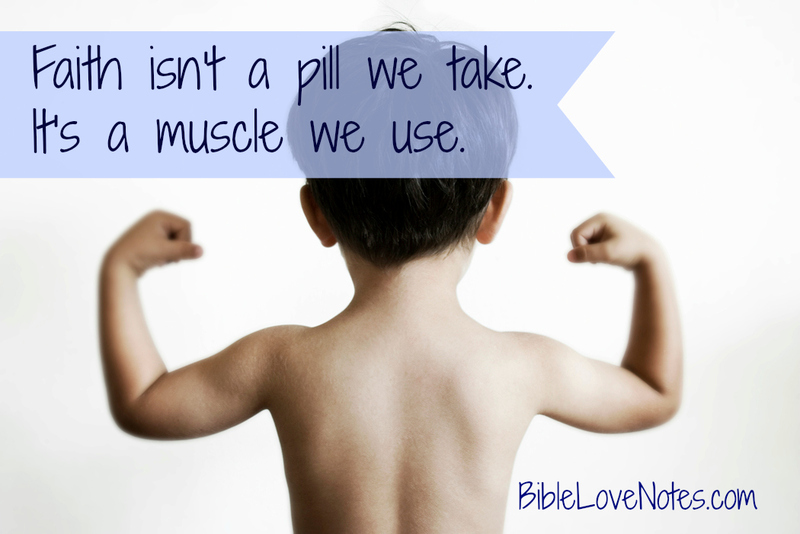 Exercise, exercise, exercise so your ‘faith muscles’ are strong! Let the Word of God encourage you and bring your belief to an unshakable state! Girrrl get yo’ Faith up!